Ted Pelletier joined Kazan Law in September 2013 to run the firm’s appellate and motion department. Mr. Pelletier brings 17 years of experience in the trial and appellate courts representing injured consumers, including many cases on behalf of asbestos victims. 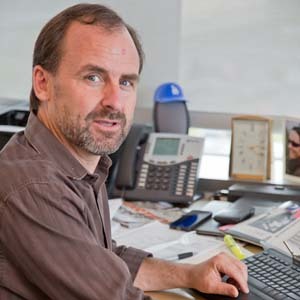 Mr. Pelletier graduated with honors in 1994 from Hastings College of the Law, where he pursued appellate advocacy in competition. From 1996 to 2002, he handled consumers’ appeals with the Law Office of Daniel U. Smith, where his victories included defending numerous judgments on behalf of asbestos victims. From 2002 to 2013, he continued this practice through his own office, the Law Office of Ted W. Pelletier, representing consumers in appeals, writs, and motion practice. Over the years, Mr. Pelletier has handled dozens of appeals in the California Courts of Appeal and the California Supreme Court. 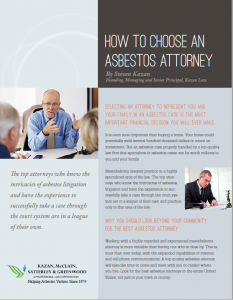 He has been honored to represent many asbestos and other toxic-tort victims. Among his proudest accomplishments is representing the first Californians to successfully sue cigarette manufacturers, first protecting recoveries by two smokers who contracted asbestos disease from smoking 1950s Kent cigarettes that included an asbestos filter, and then defending appeals of verdicts for the first two California plaintiffs who successfully sued cigarette manufacturers for their decades of fraudulent insistence that their product was not harmful. At Kazan Law, Mr. Pelletier continues to represent asbestos plaintiffs in several pending appellate matters, including in Webb v. Special Electric Co. (2012) 214 Cal.App.4th 595, which he will argue before the California Supreme Court in 2014. He looks forward to continuing these battles to assure that California law provides justice for the victims of asbestos exposure and their families. Mr. Pelletier has been happily married for over 20 years to his wife Mia, with whom he has two wonderful daughters, Sophie and Julia.